Russian original historical collectable pins. 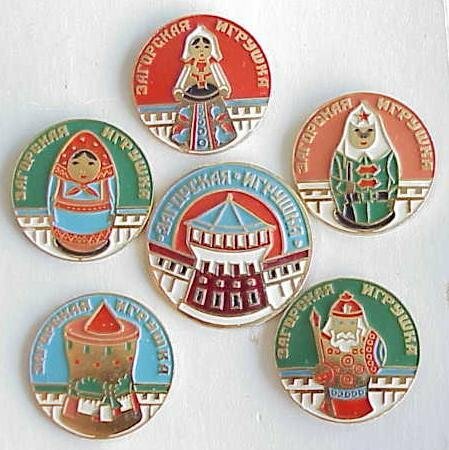 Set of 6 pins - Matreshka Toys. Made of metal and enamel, this pin was established in period from 1975 to 1985 year USSR. High quality and good condition collectable pins!!! This Pin-badge is not made anymore in Russia! !